Texas Offers Mediation For Surprise Medical Bills : Shots - Health News In Texas many people have a right to mediation of medical bills. But the concept can be off-putting, and patients often think they need a lawyer, which isn't the case. Austin, Texas, dentist Brad Buckingham received a bill for more than $70,000 after a bike accident landed him in the hospital and he needed emergency hip surgery. The Texas Department of Insurance's mediation program can intervene when Texans complain about an unexpected bill — often after an emergency in which a patient rushed for treatment at an out-of-network hospital. Historically, the state program had many restrictions that left few consumers eligible for help. But the Texas Legislature expanded it in 2017. Since then, more patients have been filing complaints. In 2014, the department was asked to mediate 686 medical bills. During the 2018 fiscal year, however, it received 4,445 bills, more than double the 2,063 bills received in 2017. Even after the changes, the mediation program could be a lot more robust and is likely addressing only a fraction of these problematic bills, consumer advocates say. Brad Buckingham says he had to deal with a surprise medical bill after a bicycle accident in 2016. Buckingham sent his bill to Kaiser Health News and NPR's Bill of the Month portal last year. The Austin, Texas, dentist says he was on a ride with friends in December 2016 when he crossed some train tracks at an angle to avoid a pileup. His wheel slipped out from under him, and he landed hard on his left hip. "All I could do was scream," he says. "I couldn't even make words." His friends called an ambulance, and Buckingham was taken to the nearest hospital: St. David's South Austin Medical Center. "I specifically remember I gave them my health insurance information in the ambulance," he says. "And they put me in the ER, and from the ER they took my insurance information again." Buckingham had insurance through Baylor Scott & White Health, which he bought through the Affordable Care Act marketplace. St. David's was out of his plan's network, but no one told him that — at first. Buckingham had broken his hip, and doctors took him into surgery the same day. "They held me in the hospital for three days just for recovery and never told me I was out of network until the time of my discharge," he says. A few weeks later, Buckingham got a bill that said he owed $71,543. The total bill eventually came to $75,346. Baylor Scott & White, which left the ACA marketplace the following year, paid only $3,812. Buckingham says he thought it was a mistake. He called the hospital and the insurer to sort it out. But after weeks of inquiring about it, there was no resolution. Both the hospital and insurer insisted payment was his responsibility. "I'm sitting there thinking to myself that there is no way – there is no way — this is right," he says. Baylor Scott & White says it couldn't discuss Buckingham's bill "due to confidentiality requirements." After Buckingham gave St. David's permission to discuss his case with the media, the hospital released a statement saying his bill was actually the amount he owed from his deductible and coinsurance — not a balance bill. The hospital also said the bill was so large because of his "high deductible plan." Those plans "may be attractive to some people because they cost less, though they place more financial responsibility on the patient," the statement from St. David's said. Read the stories from the project here. Buckingham says his policy had a deductible of $5,000 for in-network care and $10,000 for out-of-network care. He says he still doesn't know how his bill got to be so high. Buckingham didn't know about the state's mediation program. But even if he had known, he wasn't eligible for the program at the time. His bike accident and the billing dispute with the hospital happened months before the Texas Legislature decided to expand the pool of eligible patients. So he hired his own lawyer to help him negotiate with the hospital. Buckingham says he now owes a couple of thousand dollars to St. David's, but he remains frustrated by the experience. "You know, whenever I tell my story to anybody, they kind of agree — like, 'Oh my gosh, this is ridiculous,' " he says. "But then when you talk to the people that have any control over it, it's the exact opposite. It's: 'You owe it; we don't.' "
A surprise bill can happen to anyone who makes an urgent trip to the nearest emergency room. "It's a total roll of the dice," says Stacey Pogue, a senior policy analyst with the Center for Public Policy Priorities in Austin. She has been looking into balance billing for years. "The medical emergency that's going to send you to the hospital where you could get a surprise bill — is that emergency room going to be in or out of network?" Pogue says the Texas Department of Insurance's mediation process forces an insurance company and the hospital or medical provider to negotiate a fair price for services. She says 90 percent of the time those negotiations happen over the phone. There are two big reasons the number of bills sent for mediation more than doubled from 2017 to 2018, Pogue says. "One is just increased awareness," she says. "There is constant media attention now to surprise medical bills because the stories are so shocking, right? We see them covered more, so people are more aware that when they get one, they could do something about it." The second reason is that in 2017, the Texas Legislature opened the mediation program up to more people, including teachers. Stacey Shapiro got a $6,720 bill after being treated in the hospital for a hypoglycemic attack. 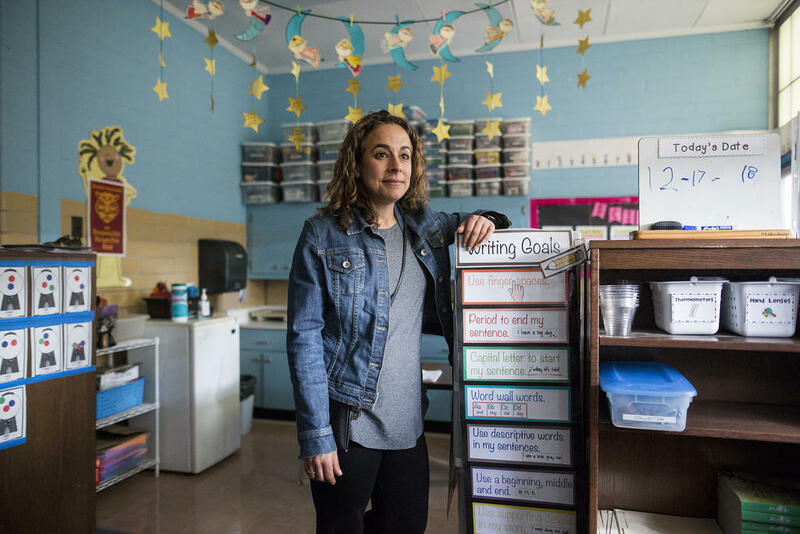 Stacey Shapiro, a first-grade teacher in Austin, also received a surprise bill from St. David's South Austin Medical Center after she landed in the emergency room last March. The marathon runner said she woke up one Saturday for an early run and wasn't feeling well. "All of a sudden the whole room started spinning. ... I started sweating, sweating like buckets," she says. "It was terrible, and then all I remember is that my ears started popping, my vision got blurred and then the next thing I knew, I had passed out." Shapiro's boyfriend heard her hit the bathroom floor. He found her passed out, with her eyes open and hardly breathing. He took her to St. David's because it was the closest hospital. Shapiro says she was taken care of in a few hours. Hospital staff gave her fluids and anti-nausea medication. Doctors found she had a dramatic change in her blood pressure that was likely due to a spell of hypoglycemia, or low blood sugar. Two months later, a bill for $6,720 came in the mail. Like many teachers in Austin, Shapiro gets her health insurance from Aetna. In a statement, the insurer said Austin school district employees are supposed to use the Seton Accountable Care network, comprising several Catholic hospitals in the area. St. David's parent company, the for-profit hospital chain HCA, doesn't participate in that network. "Unfortunately, HCA is not currently accepting payments through Aetna's [contracted payment] program, which provides set payment fees for non-participating providers. This has resulted in Ms. Shapiro being balance billed for her emergency room visit," Aetna wrote in a statement. Shapiro says she had heard of other Austin Independent School District employees dealing with high hospital bills. In fact, Shapiro reached out to KUT after hearing the story of Drew Calver, an Austin high school teacher who was balance billed for nearly $109,000 by St. David's after a heart attack. Calver's story was part of Kaiser Health News and NPR's Bill of the Month series last year. Shapiro says that in her case, Aetna told her not to pay what the hospital was charging her. She says she was told to pay only her deductible ($1,275), which she did right away. But St. David's kept sending her bills for the remaining balance, which was more than $5,000. "I guess I just thought that it was going to go away," Shapiro says. But it didn't. For a public school teacher, $5,000 would have been a huge blow to her budget, she says. Shapiro applied for financial assistance, but St. David's told her she didn't qualify. She says she felt like she was out of options — until a friend told her about the state's mediation program. After she contacted the program, a state mediator set up a scheduled call with Aetna and St. David's. But before it took place, a KUT reporter asked St. David's for a comment on the situation. Shortly afterward, Shapiro says, St. David's told her she no longer owed anything. St. David's later told KUT that Shapiro had "already satisfied her financial obligation." It also denied that she was balance billed to begin with. Shapiro says the whole experience has been exhausting. "It's just very frustrating because this has been very time-consuming," she says. The Center for Public Policy Priorities' Pogue has been arguing that the state needs to find more ways to get involved. She says the current mediation process is pretty good, but not enough people know it's an option. 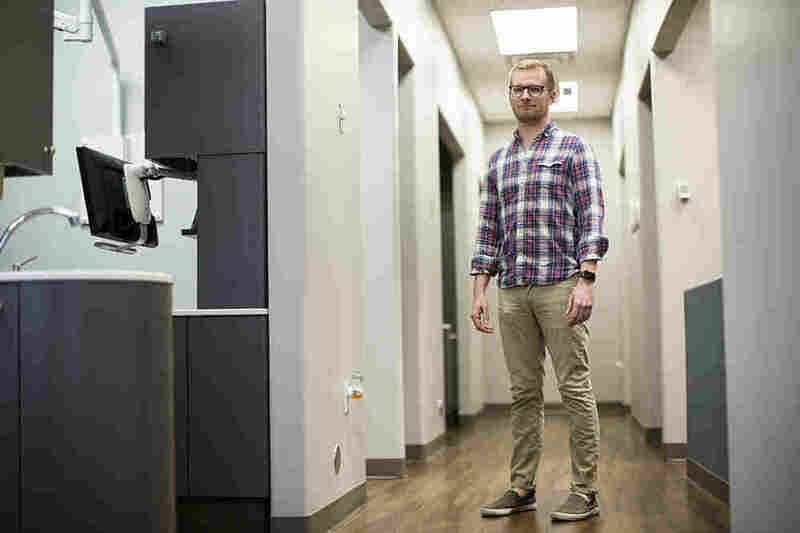 "Because first, the instructions for how to do it are on your medical bill and your explanation of benefits — the most indecipherable documents you are going to get," she says. And even if people understand they have a right to mediation, they might get scared off by the concept and think they need a lawyer, Pogue adds. But when people use the program, it tends to work by saving patients money. In fiscal year 2018, the initial complaints amounted to $9.7 million worth of medical bills, according to the state insurance agency. After mediation, the final charges had been negotiated down to $1.3 million. Pogue says mediation is helpful, but it still puts a big burden on the patient, who may be confused. "Why didn't this happen in the first place?" Pogue says. "How come I had to, while recovering from an emergency, decipher medical bills, fill out paperwork with the state department of insurance, jump through all these hoops, when all that needed to happen was a phone call?" The ideal solution to surprise medical bills would remove consumers from this confusing web altogether, she says. Pogue points out that states like New York, California and Florida have systems that make things easier for consumers. She thinks Texas should do that too. In 2015, New York became the first state to pass a law aimed at protecting patients from surprise medical bills from out-of-network hospitals. The Emergency Medical Services and Surprise Bills Law holds consumers harmless if they are treated by an out-of-network doctor at a participating hospital, among other things. In 2016, Florida lawmakers passed legislation protecting consumers from receiving surprise medical bills "from doctors and hospitals that don't have a contract with the patient's insurance plan," the Miami Herald reported. And in 2017, California passed a law shielding patients from balance billing. The law kicks in if someone visits an in-network provider, including a hospital, imaging center or lab, according to the San Francisco Chronicle. Under the law, patients "will be responsible only for [their] in-network share of the cost, even if [they are] seen by an out-of-network provider," the Chronicle reported. In the meantime, Pogue says, more Texans should take advantage of what's already in place in the state. The number of people who seek mediation is "tiny compared to the number of people who get surprise bills," she says, "so there is a ton of work to be done." This story is part of NPR's reporting partnership with KUT and Kaiser Health News. You can follow Ashley Lopez on Twitter: @AshLopezRadio.